Recently, I’ve adopted the habit of frequenting open mic events. 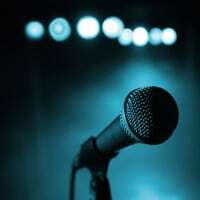 An open mic is an event where all types of performers go to perform in front of an audience. Anyone can perform. There’s no need to get booked by an agent or call anyone in advance. All you have to do is sign up when you get there (but you might want to show up early). The great thing about most open mics is that the audience, mostly performers themselves, are really kind and encouraging to newcomers. It’s a wonderful environment to build your confidence and stage presence in front of a crowd, and get useful constructive criticism along the way. Below are the strategies I use during an open mic night in order to get the most out of every experience. See if you can apply any of them to your music career. 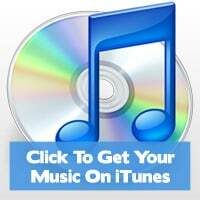 Note: This guest post is by Reyshizz and added to my David of Music Industry How To. While the general idea behind open mic nights is to turn up and play your music even if you’re not booked, the exact details can vary from venue to venue. For example, some open mic nights will allow you to turn up with your own equipment and band, and perform one or two songs before the next musician gets up to play. Other open mic events, particularly Rap/Hip Hop open mics, will have a DJ or two spinning tunes on the decks. You will then be able to go back to back with a host of other rappers for say eight or 16 bars each. 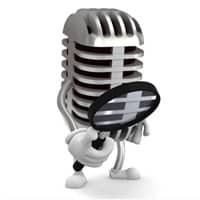 You may want to call ahead and find out the exact details of how each open mic night works. By doing this you will know if you have to bring your own backing tracks and/or instruments, or if you can simply turn up and perform. 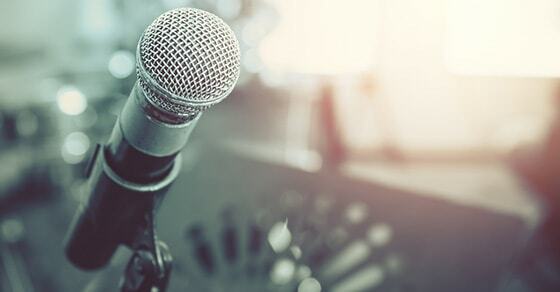 This process should also help you find open mic events that are right for you. Not that you can’t attend many different types, if you feel you have something to contribute. You can also just attend to meet people, and not to perform. It’s always a good idea to bring along a CD of backing tracks you can perform to, just in case. You never know what’s going to happen at these events, so if an opportunity comes your way, you want to be ready and prepared to take it. For instance, lead players can sometimes be invited up to play on many people’s sets. When I decided to perform at open mics, the first problem I ran into was not knowing where to find them. This problem was easily solved though with the power of the internet. I decided to use Google to search for open mics near where I live, and focused on finding clubs or lounges that held these events on a weekly basis. For each club that I found, I called in advance to make sure the information was up to date. The results were broad, but it was a good start. Along the way, I found another tool I could use to find open mic nights. This tool was a website called Eventbrite. On Eventbrite you can search all different types of events, and filter these events by your location. Again, I called each open mic night that I found to confirm the details. You can also check classified sites, local entertainment magazines, online open mic directories or listings, and so on. Once you find a few promising options, mark your calendar with a date to go to each one of these events. As they’re generally “turn up and perform”, you don’t have to worry about booking before you go. You might want to simply call up on the day or the day before just to confirm that the event is still happening. Other than that though, it’s just about making the time to go. If you don’t have musician friends already, you will make new friends at open mic nights. And the people who play at open mics generally go to multiple locations, and not just one. As you begin to meet more people, you can ask them where they like to play. This is a reliable way to find new performance opportunities, as anyone that’s performing regularly knows where the local hot spots are. At open mic nights, you get all different levels of talent. While people are generally understanding of those less talented, and will give them a chance, you don’t want to be one of them. Even though this is still practice time for you, you also have the opportunity to build up some good connections in the music industry if you’re prepared. Because of this, you should make sure you’re at a decent level beforehand. Self-examination sometimes isn’t enough, so I would suggest asking some trusted friends what they think of your music. And get them to tell the truth – ask them to leave their polite comments at the door. Otherwise, you won’t get an honest answer. There are a number of ways to prepare for a gig. Practicing in front of a mirror using your hair brush as the microphone isn’t quite the same as performing in front of an audience, but it’s better than nothing. At the very least make sure your lyrics are firmly memorized. You’d be surprised at how quickly your words escape you when you have a crowd waiting for you to play and sing. At most open mic nights, you will not have the opportunity to play more than one to three songs. So practicing is easy. You’ll want to go through each song a number of times, remembering to identify any problem areas as you go. You can then work on those rough areas until they’re smoothed out, and then do a full run-through again just to make sure you’ve got everything down. If you’re going to be singing, then remember not to sing your voice raw before arriving at the venue. Lastly, you’ll want to stay off the alcohol before you perform. I’ve looked at why in the following guide, so check that out if you want to find out why: https://www.musicindustryhowto.com/should-i-drink-alcohol-before-a-gig/. An open mic is the place to practice in front of an audience, and you will hone your craft as you perform more often (it’s the best practice you can get for free). But do yourself a favor and practice alone first to get your act together. Mistakes can happen, but if you’re well-rehearsed, you’ll be able to minimize them. If you have a CD or something with your music on it, bring a few copies to the open mic event to give away or sell after the show is over. Also bring your business cards, a pen and something you can take notes on (If your mobile phone doesn’t have these capabilities). Open mics are great for networking and you should be prepared for this. If your performance is any good, people may come up and compliment you after the show. This is your opportunity to network and/or gain fans. Give them your CD and ask for their email address in return. 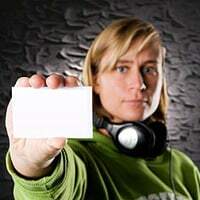 Also give them your business card so that they can visit your website to find out more about you. You should also approach any performer that you enjoyed seeing. Compliment them and ask for their information. Hopefully that interaction will start a working relationship that is beneficial for the both of you. This can lead to collaborations, the swapping of links, and the sharing of useful information. They may know about another open mic night you haven’t heard of before, and bring you in there. They may also bring you in on other things, as you could do for them. But try not to be too forward in your networking, as that can send the wrong signal to people. For example, if you just go from person to person, table to table handing out business cards, most of those people will simply throw them away. If you have no intention of building honest, sincere connections, others will sense that, and not want to connect with you. Also, don’t give away too much. After all, you work hard on your music, and it can be very difficult to build a following and make money from it. A CD for an email address is fine. A CD for a CD (exchange with another artist) is also fine. But limit the number of things you give away, because that can sometimes cheapen your brand. Your art is worth something. How did my performance go over? Am I satisfied with it? What song(s) did I perform? At what venue did I perform at? What was the crowd’s reaction to my music? Did the audience like it? How could I tell? How many people came up to me after the show was over? What did they say? What new connection have I gained? How can these connections help me? How many people did I manage to refer to my website and mailing list? I personally made an Excel spreadsheet to capture all of this data so that I can track my progress. You could do the same, or note it down in a text document if you prefer. Tracking may seem tedious, but the most successful people in the world track, measure, and analyze how they utilize their time. I suggest you do the same. Once you’re comfortable playing open mic nights, you need to start shaking things up. Regular attendees will become familiar with you and your songs, and even though you can keep practicing and making them better, you’re unlikely to coax new reactions out of people after you’ve made your impression. If you’re getting awesome reactions from your songs, then great, you’ve found your sweet spot. But complacency is the enemy of innovation, and innovating has a way of propelling “just an open mic regular”, to “a noteworthy, up-and-coming artist.” I’ve seen this happen. And being known as an up-and-comer on the scene has its advantages, because suddenly venues and other artists will start tracking you down to collaborate with them and play shows. To stand out, you’re going to have to make some honest (but sometimes harsh) observations about your peers. Is everyone playing acoustic guitar and singing “Pretend Idaho” songs? What’s the opposite of that? Are keyboard or piano players in short supply? Is everyone using a loop station to make themselves sound bigger than they are? What could you do that no one else is doing? Or, what could you do better than anyone else? This is about discovering (and uncovering) who you truly are as an artist, not merely about zigging when others zag (but that’s a useful skill too). When you fill a hole that no one else is filling, you stand out like a sore thumb. And if you pull it off with skill and style, you’re the unquestioned champion in the room. So, don’t be the same as everyone else. That’s the last thing you want to be. Dig deep into who you really are, and craft fresh music around your identity. Dare to be different. Many lounges, bars, pubs, clubs, and cafés that host open mic nights also host DJs, bands, and solo artists. They might have a monthly showcase, or they might host bands every weekend. You should be able to find out on their website. Some of these venues make it a rule to only book artists that show up and perform on an open mic night. Whether they have this policy in place or not, performing at their open mic certainly can’t hurt your chances of getting booked. If you attend the same open mics every week, it won’t take long for you to hone your skills, meet everyone, and gather as many email addresses as you’re ever going to. If you’re satisfied with that, that’s fine. But there is further to go. I would suggest looking at getting booked for a full performance at the venues you regularly attend. Depending on the venue, the agreements will likely be a little different. But if they ask you what you’d like to do, tell them you’re interested in playing two or three 45-minute sets. Or, you can also bring an opener or closer and have them take a 45-minute slot. Negotiate fees, because it doesn’t make sense to play that long for free. Playing a gig will give you the chance to meet new people, get more signups for your email list, sell some CDs, and maybe even get paid to play. There’s no reason to be satisfied with playing one to three songs per night at an open mic. When you have enough material and experience, it’s time to shoot for bigger opportunities. Open mic nights are a great way to practice performing in front of an audience, as well as gaining new fans and connections along the way. I would suggest going to at least one open mic every week. When I started out, I was going to four different events a week, which was tiring but gave me a lot of insight in a short period of time. Now I go to two to three per week, depending on my schedule. 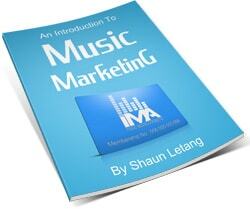 Hopefully the information I’ve provided above is useful, and helps you grow as an independent artist. Good luck. Reyshizz is an independent hip hop artist with an incredible amount of passion and love for the art and business of music. He currently works full time at a digital marketing and technology agency, but is on the path to make his passion his new career. To learn more about Reyshizz and get some of his music, check out reyshizz.com. You can also contact him at rey@reyshizz.com.